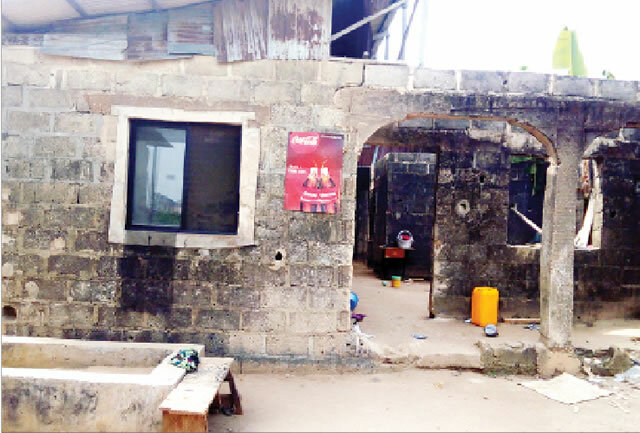 Some suspected ritual killers have stormed the residence of a family of five children on Saka Adegbose Street, off Olu Odo Road, Ikorodu. The assailants, who struck on Sunday, killed two siblings, Azeezat Oriade and Abeeb Oriade. Two of the remaining siblings – Abdulazeez and Jamiu – were said to be in a critical condition at the Lagos University Teaching Hospital, Idi-Araba. PUNCH Metro learnt that the four victims were sleeping in the living room while their mother and one other daughter were in the bedroom when the assailants struck around 1am. It was gathered that the ritual killers had torn the net on one of the windows to gain access to the apartment and hit the four children with some objects. Shortly after they left, Abdulazeez reportedly screamed, which woke up their mother and neighbours. The father, Lateef, a commercial driver, was not around on the day. Our correspondent learnt that 21-year-old Azeezat, the eldest child of the family, died immediately while her brother, Abeeb, a Senior Secondary School 1 pupil, gave up the ghost at the Ikorodu General Hospital. The Oriades’ residence was deserted on Monday when PUNCH Metro visited the community. A former chairman of the community development association in the area, Alhaji Wale Oladunjoye, said the victims’ parents were traumatised and had been relocated by their relatives. He said, “A few minutes after 1am, somebody banged on my door, shouting that the Oriades have been attacked. I called my brother and we went to the apartment. The incident was reported at the Ipakodo Police Division. “Initially, I thought it was armed robbery, but I was baffled when I realised that nothing was stolen in the building. Four children were brutally injured. Azeezat died instantly. We rushed the three others to the Ikorodu General Hospital. “After Abeeb died, the two others were referred to the Lagos State University Teaching Hospital, Ikeja where they were rejected. We had to move them down to LUTH. Another resident, who identified himself only as David, said the attack was the third in four months in the neighbourhood, urging the government to take actions to stop the bloodbath. He said, “The attack is becoming rampant and it is being perpetrated by a gang of ritual killers, who have been terrorising Ibeshe, a neighbouring community. They don’t steal. About four months ago, a family was attacked on Adegbose Estate. A man and his three children were killed. A landlord, Mr. Adigun Mukaila, said residents had become overwhelmed by the attacks, and called for intensified police patrols on streets across the community. The spokesperson for the Lagos State Police Command, SP Dolapo Badmos, said a manhunt had been launched for the fleeing suspects.